By Tommy Robbins. This is LOADFILE, where life is better if you’ve taken your Joy! Today Tommy reviews ‘We Happy Few’ from Compulsion Games, currently in Early Access release. Initially shown at PAX East in early 2015, We Happy Few turned some heads with the seductive but ominous tone featured in the cinematic trailer. After a successful Kickstarter campaign raised over $200,000 for the game’s development — and after a slew of screenings at industry trade shows captivated its would-be audience with a strikingly vibrant and almost whimsical art direction that stood in stark contrast against a distressing world of deeply troubled occupants — the game seemed ready to sweep consumers off of their feet in a spectacle that some speculated held potential to be the next BioShock. All this, based mostly on an intensely compelling 5 minute trailer. Now that Compulsion Games has put out a first look at the game in Early Access, let’s see what all the fuss is about. 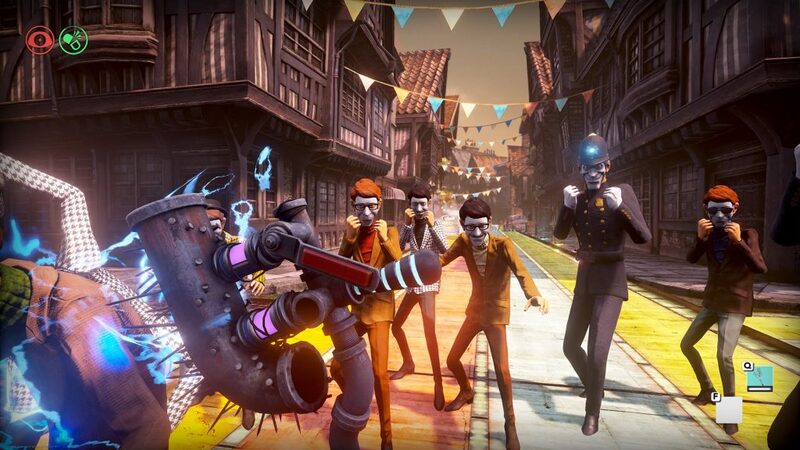 We Happy Few focuses on the 1960’s English town of Wellington Wells. War-torn but hanging onto its last manageable threads of stability, the inhabitants have turned to substance abuse to ease the pain. Joy, the miracle drug that manages to instantaneously dissolve anxieties, depression, and basically anything that could be categorized as an unwelcome thought, is the end-all solution for the hamlet’s inhabitants who wish to free themselves of the burdens of guilt and loss. The reminders of the horrors they once endured surround them, but with the swallow of a simple little pill, all is forgotten. It’s an eerie premise that feels straight out of an episode of The Twilight Zone. Those on Joy are characterized by their upbeat demeanor, their distaste for “Downers”, and their happy, painted faces. For the residents of Wellington Wells, this is every day, every minute, every second. The tragedies they’ve faced have been crippling. What’s easier than simply forgetting? For our protagonist, change doesn’t come so easily. Scanning through artifacts of a time lost to war at his day job, he finds something that reminds him of his old life. An interesting moment within the first minutes of the game puts the decision into the player’s hands of whether or not to take the Joy to suppress this haunting memory, the outcome of this decision literally opening or shutting the door to the remainder of the game. Swallow your Joy and be “snug as a bug on a drug.” All is forgotten. Roll credits. But should you choose not to take your Joy, a frightening world begins to emerge; ghoulish inhabitants and their painted faces remind you of what you lose when you chose to drug yourself into numbed complacency. Mostly they just don’t like you for being a “Downer” and chase you into the sewers with bats, sticks and anything else they can grab and beat you with. But there is a Kubrickian lyricism at play here. The world, tone, and literally everything about the big picture of We Happy Few is impeccable — dripping with intrigue and creepy as all hell. Unfortunately, as of now (the game’s still in Early Access), most of that melts into a mere backdrop nearly immediately following the game’s opening. What’s left? Hope you like minimalist survival! The stark contrast between premise and gameplay in the current state of We Happy Few is sudden and jarring. After the masterful but brief introduction, the game literally dumps you into the middle of a world full of survival mechanics and scattered with objectives with little to no direction, though “full” may not be the best choice of words. If you’ve seen any of the tons of Minecraft or DayZ clones surfacing in recent years, then you know what you’re dealing with here. In Wellington Wells there are items to find. Most, if not all, of these items can be made into something more grand. Imagine that: metal bits can make a lock pick. Alcohol and cloth might get you a sterile bandage. The main issue being that you don’t need large quantities of most of these things and a lack of inventory space and storage means that most of the game time will be spent choosing items to discard, removing old items to create new ones. Inventory management… Yummy. So, We Happy Few is a survival game. Perhaps unexpected from its early showings, but fine — survival can be fun. What else is this game doing? Well, Compulsion has rooted in a network of interactive objectives to give the world that lively feel. Stumbling into an obvious trap may open an avenue for free loot while a bridge guarded by paint-faced officers could offer a lengthier engagement, the reward for which could grant access to new areas of the map. The problem here is that these feel cheap, play out quickly, and often the payoff could literally just be rotten food. ARE YOU OFF YOUR JOY? 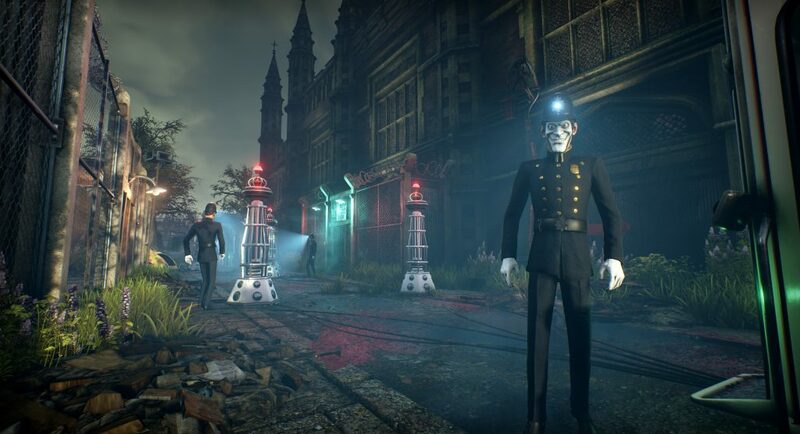 With We Happy Few, Compulsion is attempting to bridge the gap between linear, narrative heavy experiences and the current hunger for survival mechanics, and though there is plenty of work to be done in the game’s current state, it seems that they are truly onto something. When the intrigue begins to sprout from the seed planted by the games provocative introduction and spreads across the grid work that is the game’s current mechanical husk, something truly beautiful might take form. Until then, the game stands as a work in progress, full of mission breaking bugs and relatively empty of interesting content. In its current state, it’s a tough one to recommend, though it does contain enough to satisfy my morbid curiosity regarding how this game would follow that brilliant introduction. The survival and crafting mechanics are basic and mildly enjoyable, but the backdrop is so well-formed that it’s easy enough to convince us to come back. 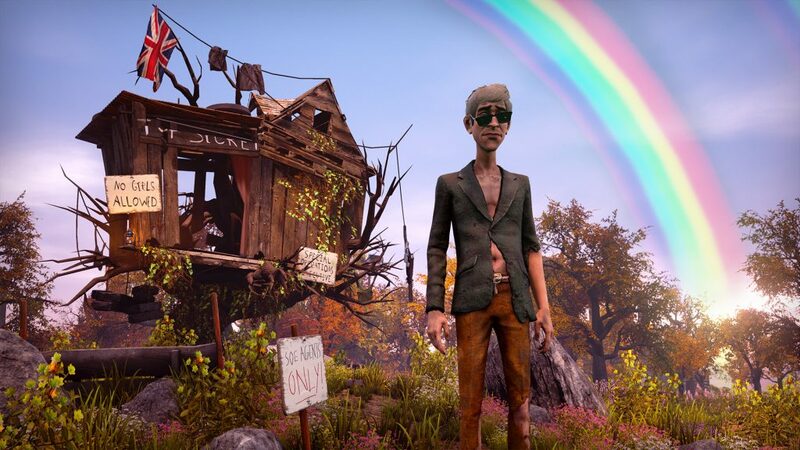 With a premise this darkly seductive, it’s tough to think We Happy Few won’t find true success — financially and aesthetically — further down the road. Platform(s): Linux, Microsoft Windows, OS X and Xbox One. 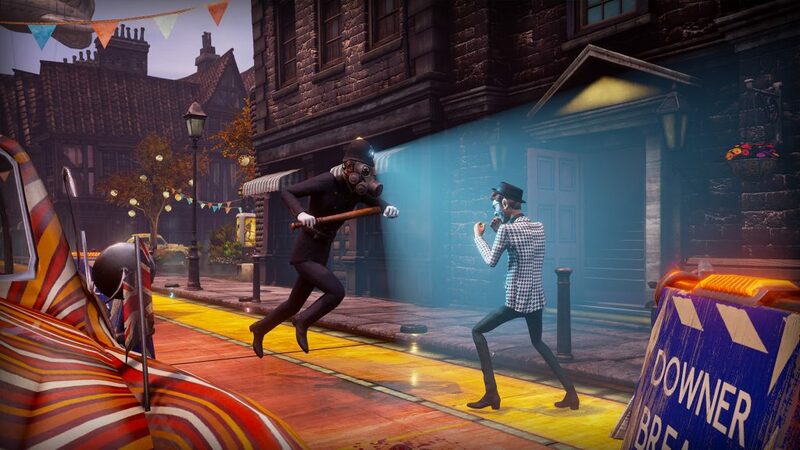 ‘We Happy Few’ remains unfinished, making it tough to score. On tone and premise alone it has earned this score with plenty of room to move up assuming new mechanics are added/perfected and the narrative is implemented throughout.